Dance forms in the early 20th century in the west often incorporated oriental elements, be it a tawdry interpretation or a more serious minded approach. 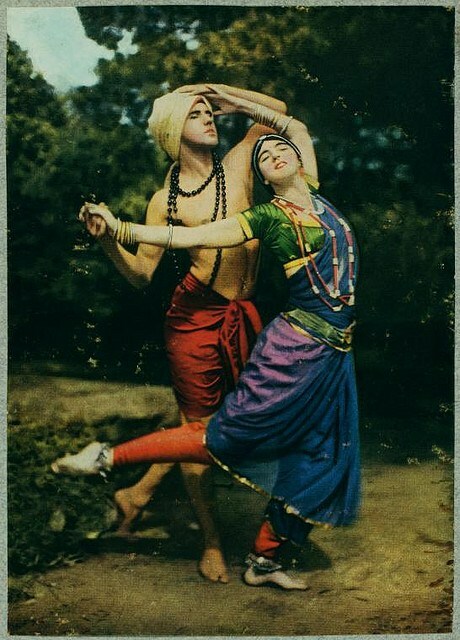 There are probably many ways to look at Ruth St. Denis’ body of work that includes “exotic elements”, but its obvious from the stills that a lot of effort and care has gone into the presentation, including one that evokes a Chola bronze. Plus of course she seems to have been responsible for the revitalisation of modern dance. To the blouse. Its a simple one for the year it is taken in (1915) but quite clearly a choli as opposed to a Western style blouse. I am not sure that is a sari, probably an approximation of the garment. 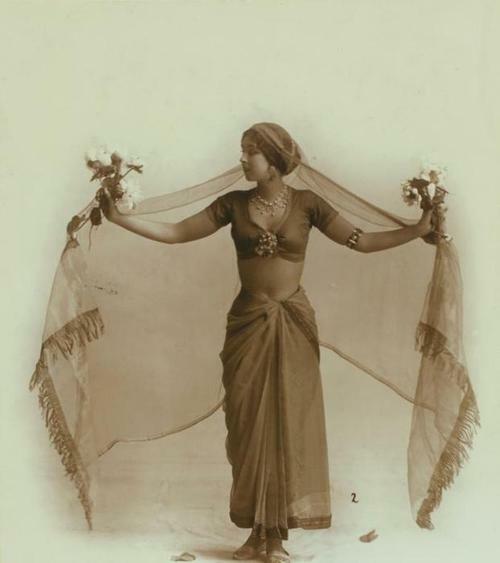 Re the second pic – she seems to have favoured the choli, common in dance forms in India. And there is the brooch at the centre and a single armband. And the very neat figure. This entry was posted in 1910s, Dance, Dancer, Hinduism, Sari, Sari Blouse, Vintage and tagged 1915, india, modern dance, Ruth St. Denis, saree blouse, vintage. Bookmark the permalink.